Taft Hill green space was planted in 2006 with plant material funded through a Small Changes grant from the City of Boston. 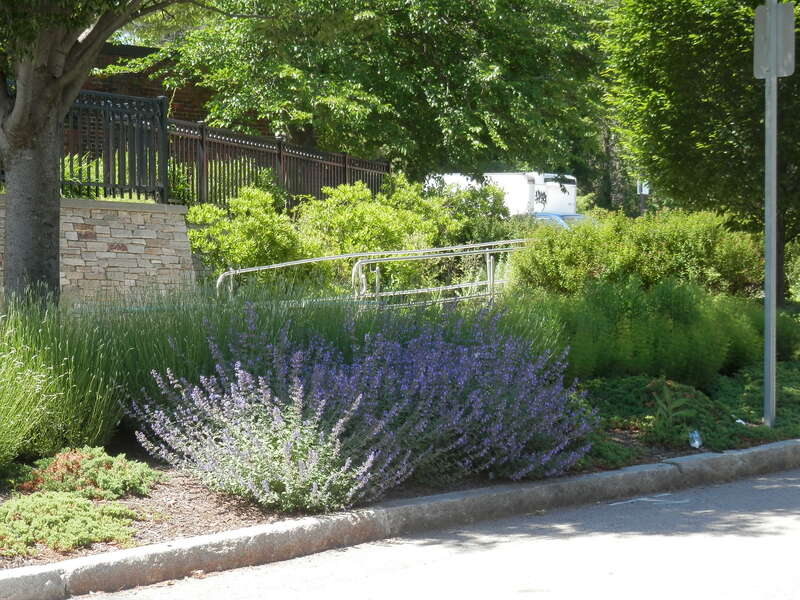 The Roslindale Community Centers, which wrote the grant, asked RG&C to design and plant the park. This wedge-shaped space was anchored at one end with a park bench and an existing zelkova (Zelkova serrata) tree. Roslindale Green & Clean planted it with a hornbeam (Carpinus betulus fastigiata), and a swath of junipers (Juniperus hoizontalis ‘Blue Chip’) and Siberian carpet cypress (Microbiota decussata), which provide both structure and fall and winter color. 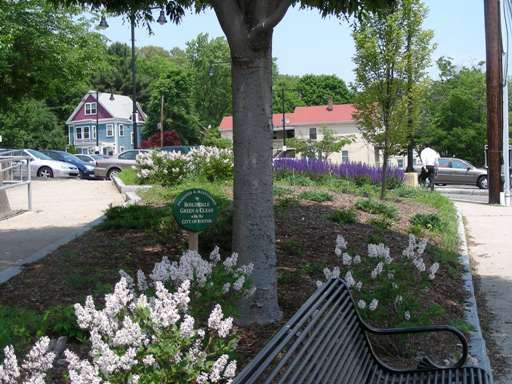 Miniature lilacs (Syringa patula ‘Miss Kim’) with their intense spring fragrance, surround the park bench. The far end of the triangle contains massings of salvia (Salvia nemorosa x superba ‘May Night’), daylilies (Hemerocallis ‘Happy Returns’), lavender (Lavandula angustifolia ‘Hidcote’) and purple coneflowers (Echinachea purpurea). Reconstruction of the site by the City of Boston in 2012 included regrading, wall surfacing, and installation of a railing and benches to allow conformance with the Americans with Disabilities (ADA) Act. Due to the loss of many plants over a few harsh winters, in 2017 RG&C reworked the design scheme at Taft Hill and has since been adding shrubs, grasses, perennials, and bulbs to keep this challenging site attractive through the seasons.